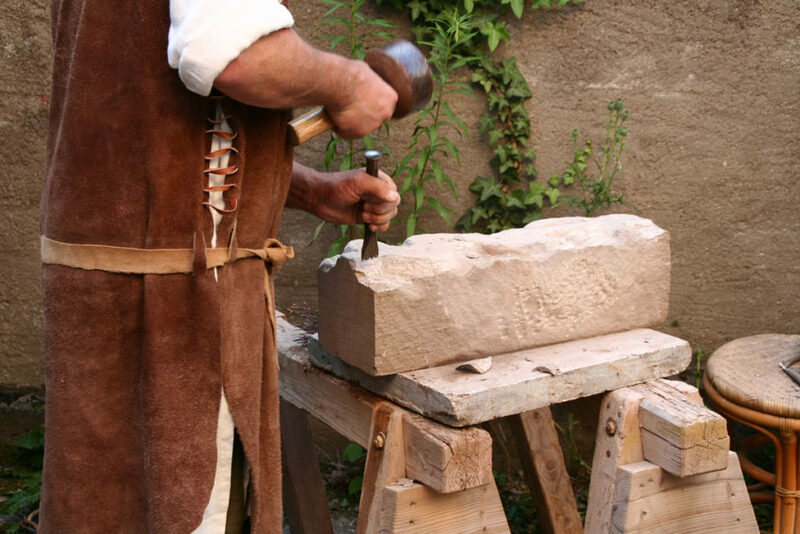 There’s a story I like about two stonemasons. One was, young, strong and full of pride. The other was old, in the mastery of his craft. They both had to break a stone down exactly into a particular shape. The young buck throws himself into it, steadily chipping away, throwing all of his youthful energy into the task. Finally, dripping in sweat, the stone work is complete. The master takes a different approach. He takes his time looking at the stone from different angles. He choses 4 different chisels for the job. And with four precise wacks, he breaks the stone into exactly the right shape, and the work is complete. He is congratulated. Doesn’t this prove that he is the better stonemason? The master is dismissive of the idea. “That has nothing to do with it. Take a look at our output. It’s exactly the same. My work is not better or worse than his. As stonemasons, we are equal. Your impressed by my methods, but mastery was forced upon me. If I could still huff and puff like a stallion in heat, throwing the full weight of my body into the blows, I probably would. Over time, my body started to give out. I had no choice but to get smarter. I had to become more precise, more efficient, better skilled with my tools. They do allow me to hit a certain level of productivity, but there’s also a bit of shame there. I’m only using them because my mind just couldn’t handle the burden any more. I mean, when I started out, I didn’t even have a calendar. I just kind of kept it all in my head. I’ve got a meeting with the planner on Thursday, the plumber on Tuesday, and the slab is coming the Tuesday after. And if something changed, then I’d have to mentally rejig everything. I just ended up lugging around a mountain of info, dates, even contact numbers in my head. And in the early days, I was kind of up for it. I was young enough, I had a lot of passion. It felt like it was just part of the mission. But eventually that mountain started squashing me. It was a heavy weight. And it started to be a stress. And these days, I can’t even imagine trying to manage all this without a calendar. Oh boy, could you imagine. But I think this is a reality that we all have to face. … OR we invest in our tools and our craft. We learn to work smarter. And those really are the only two alternatives. You either step into mastery, or you step into retirement. The default setting is retirement. But mastery is a choice that is open to you. But like a lot of choices, it requires engagement. Mastery won’t happen on its own. You need to be reviewing your skills and processes and seeing where efficiency gains can be made, and where you need to invest in yourself. And this has to be a constant process. Mastery is the end result of constant self-investment. Which is why I’m so passionate about education and self-development. You’re just too young to retire.